When in Mallorca you should go on shopping to the center of Palma, the main city, where you will find the most of the shops. The Plaza Juan Carlos I, next to the Cathedral, and the streets around are known to be the shopping area. Shops usually open from 10.00 in the morning and close at 01.30, they reopen during time the evening from 17.00 to 20.00. However, big shops usually do not close for lunch and are open during all day. 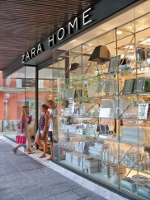 Zara is open until 20.30 in the evening and El Corte Ingles (one, if not the only, big commercial centres that operate in Spain) until 21.30. Saturday afternoon just a half of the shops or so open, and on Sunday every shop in Mallorca is closed. Keep this mind. On Sunday only the bars and restaurants are open. but an H&M has been also opened recently not far from there. 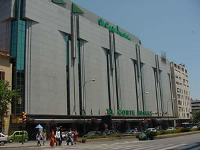 If it is too late for shopping in the centre, you can still go to the Porto Pi Commercial centre, where many of the usual shops in the centre are open until 22.00. Jaime III has been an know as the shopping street for many years and has the most of the good shops, as Camper (Mallorca best shoes), Mango (fashion for young girls) or Intimissimi for underwear. From the Plaza Mayor (reached by walking up the stairs above the parking place) you can spot to San Miguel and Via Sindicato streets, where shops are more traditional and frequented by the locals. However we must not forget that Palma is great for culture, it’s a must to visit the cathedral and royal palace. There are also many historical monuments. Explore the Old City, south east area behind the cathedral, there is a diverse range of interesting buildings with window boxes, metal carvings and overhanging eaves. The old city is also home to the Ajuntament (or Town Hall), the Convent of the Cathedral and the Banys Àrabs. The Nofrills excursions team reccomend the Palmabus excursion. It conveniently picks you up from your hotel and takes you down to Palma for a great day out. A knowledgeable English Guide will give you a full sightseeing tour of 70 minutes, and then you will have 5 hours free time to explore this charming city. With Shop Discount Vouchers, map of Palma, Free Tapas and drink all included in the price of the ticket. It’s a great way to explore the capital of Majorca in a stress free way and then dropped right back at your hotel again. If you would like some more information on the Palmabus excursion in Majorca please feel free to browse our website: http://www.nofrills-excursions.com or alternatively visit our shop right in the Port of Pollensa where one of our staff members will be only more than happy to help.